Warwick, RI (Oct. 29, 2015) – On January 1, 2016, most forms of anchoring a long putter will be illegal according to the Rules of Golf. But just because these methods of anchoring are illegal doesn’t mean golfers will have to use a shorter putter. BioMech’s AccuLock ACE putter—which is available in standard lengths from 39 to 47 inches —will still be allowed under the Rules of Golf. 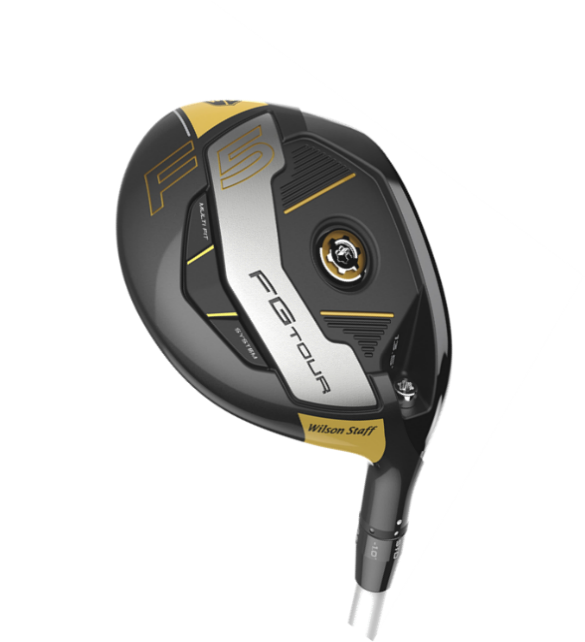 Engineered by scientists to produce a more natural and consistent putting stance and stroke, the ACE features a long shaft (allowing golfers to stand up straighter), that is angled slightly forward to put the golfer in an anatomically optimal position. Once in that position, the grip rests against the inside of the leading forearm, a position that remains legal under the new Rules. But more than legal, the ACE putter is the simplest and most accurate putter on the market. Optimizing physiology and physics, it simplifies the putting motion by getting the golfer to stand taller; set up in a consistent, natural, and balanced athletic position; align properly to the target; and make the stroke with the larger, more accurate muscles of the body’s core. As a result, the ACE gives golfers better control of the stroke, rolls putts that stay on the target line, facilitates dramatically improved distance control, and reduces the back problems and pain often associated with traditional putting. But it isn’t only golfers looking for an alternative to illegal long putting who will love the ACE. All golfers, no matter what method or model they currently use, will find the ACE a better, more accurate, and easier to use putter. Standing taller and more open gives the golfer a better view of the target throughout the stroke. The forward angle of the shaft and innovative Optical Alignment System position the golfer’s body in the same position every time. The stroke is controlled by the golfer’s core; the hands, wrists, and forearms remain totally stable and quiet. The result is significantly improved distance control. Several PGA Tour players have put the ACE in play at PGA Tour events and its presence is increasing on other professional tours around the world. Golf Magazine features the ACE in an article, “7 Ways to Raise Your Game,” in the November 2015 issue. The BioMech AccuLock ACE putter is available directly from the manufacturer at biomechsports.com, as well as through select green-grass retailers. Retail price is $279.99. For more information, go to the company’s website, biomechsports.com. Founded by scientists and design engineers credentialed in the biological and physical sciences, the company utilizes functional and clinical anatomy, physiology, and physics to optimize golf movements. 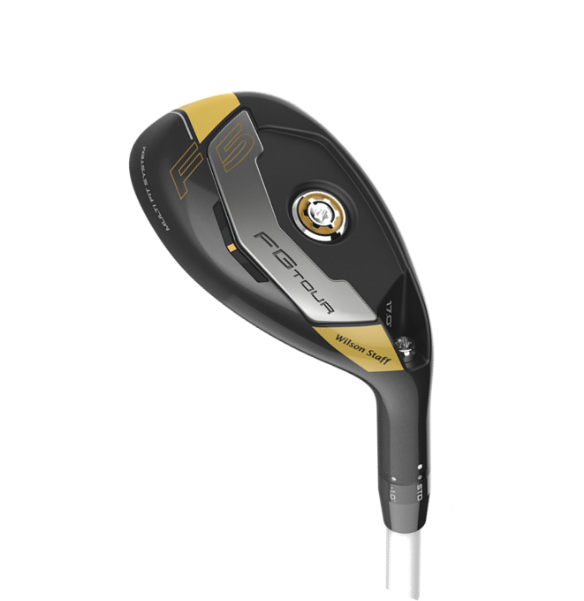 BioMech is a professional company that designs, develops, manufactures, and distributes innovative golf equipment and the corresponding educational and instructional materials that enrich every player’s golf experience. Learn more about BioMech and its products on the Company’s web site: www.biomechsports.com. 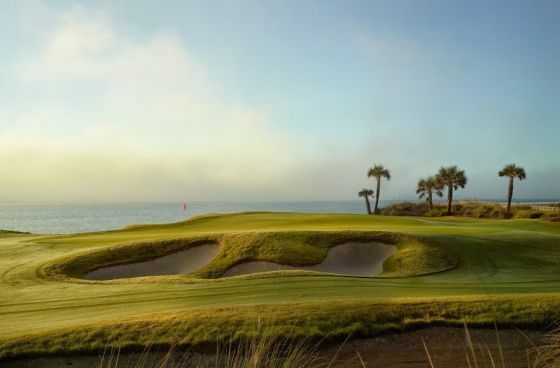 CHARLESTON, S.C., Oct. 16, 2015 – Home to over 19 championship courses designed by world-class architects and a plethora of downtown offerings from bar hopping to boating excursions, the Charleston area is the premier destination for a men’s golf getaway. Please see below for the ultimate three-day golf package and sampling of fun activities perfect for a fall weekend or mid-week vacation. From brews to birdies, a bounty of good times awaits bachelor parties, corporate gatherings and guys groups in the Lowcountry. Ideal for men’s groups, the Charleston area is home to a variety of unique adventure activities, excursions and dining options. Situated on the Atlantic Ocean with an abundance of lush tidal marshes, The Lowcountry offers some of the most premier fishing in the country. Led by a guide and expert staff, The Reel Deal Charters offers half-day and full-day excursions where guys can relax on the water and fish for red drum, speckled sea trout, flounder, sheepshead, sea bass, triggerfish, tuna, king mackerel and even sharks. Prices begin at $150 per person. For more information or to make reservations, please visit www.thereeldealcharters.com or call 843.388.5093. After a morning on the links, men can cruise the streets and explore the charm of historic downtown Charleston’s Battery, Rainbow Row and White Pointe Gardens via bicycle. Bike Rentals start at $25 per person, per day. For more information or to make reservations, please visitwww.affordabike.com or call 843.789.3281. Friends can kayak the scenic Lowcountry creeks teeming with wildlife including dolphins, egrets, turtles and various birds of prey. The ultimate Charleston adventure awaits at Nature Adventure Outfitters with half and full-day kayak rentals available, along with canoes and paddleboards. Kayak rentals begin at $38 per person for a half day (4-hour) rental. For more information or to make reservations, please visit www.kayakcharlestonsc.com or call 843.568.3222. Bustling with a lively bar scene day and night, Charleston is a haven for sports fanatics looking to catch the game and a buzz. No matter where their football loyalty lies, guys are sure to enjoy delicious food while cheering on their favorite teams at a number of Charleston’s top game-day restaurants such as Bay Street Biergarten, Kickin’ Chicken, The Alley and Southend Brewery & Smokehouse. To book the Brews & Birdies golf package or for more information on the Charleston area’s golf courses, please visit www.charlestongolfguide.com or call 800-774-4444. (DULUTH, GA) – Premier Golf (www.premiergolf.com), experts at world travel and the exclusive distributor of Ryder Cup travel packages since 1991, proudly offers fall stay-and-play packages to just-renovated PGA Village and critically acclaimed Streamsong Resort. Among the recent renovations to PGA Village, completed by Tom Hoch Designs, include the remodeling of the Taplow Pub, Wine Room and PGA members-only section. Additional improvements include adjustments to the courses’ signage, which will pay tribute and educate players about the PGA of America’s historical Ryder Cup and PGA Championship affiliations. These enhancements compliment the well-established quartet of championship golf courses – Ryder, Wanamaker, Dye and St Lucie Trail; the 35-acre PGA Center for Golf Learning and Performance facility and PGA Short Course, as well as the PGA Museum of Golf. Streamsong Resort, arguably one of the most popular golf destinations on the eastern seaboard, comes replete with a masterfully designed Tom Doak course (Streamsong Blue) that features a beautifully rugged design far and apart from traditional southern-style layouts. The sister course, Streamsong Red, is designed by two-time Masters Champion Ben Crenshaw and Bill Coore, which incorporates the surrounding natural landscape for one of the most visually appealing courses in all of North America. In addition, the resort offers hiking trails, fishing excursions and a grotto-style spa with luxury guest rooms that highlight stunning views. Through Nov. 15, Premier Golf’s Streamsong packages start at $829.50 with discounted rates the remainder of the month for $694.50 per person, based on four-persons sharing. Included are three nights in a stunning sunrise-facing room and three rounds at choice of world-class Blue and Red Courses, practice range usage and all taxes. Single room supplements available upon request for both options. In addition to providing all-encompassing travel services internationally and throughout the U.S., Premier Golf is the exclusive provider of North American Ryder Cup travel and ticket packages since 1991 and has sent more than 25,000 fans to golf’s greatest event. Packages for the 2016 competition at Hazeltine National Golf Club in Minnesota are now available. To book a fall escape, or to view all of Premier Golf’s travel packages, visit www.premiergolf.com or call 866.260.4409. Premier Golf LLC is a division of Travel Incorporated headquartered in Duluth, Georgia. 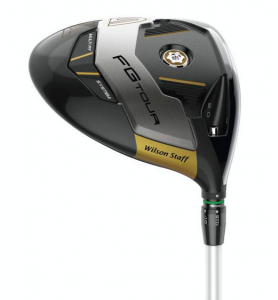 The company has been licensed by the PGA of America since 1988 and manages several of the PGA’s travel requirements. Since 1991, the company has been the only licensed source by the PGA for official Ryder Cup travel packages. Premier Golf is also one of America’s largest and most respected golf tour operators. With offices in Ireland and Scotland, Premier Golf provides golf travel services to the classic destinations all over the world. 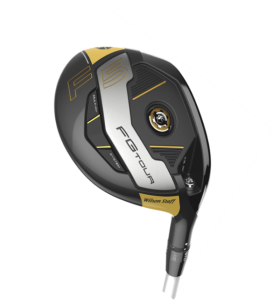 For more information: www.premiergolf.com, +888-439-1831. DALLAS, TEXAS (Oct. 20, 2015) – Starting today, Omni Hotels & Resorts is giving the gift of golf to guests celebrating their birthday while staying at any of Omni’s 11 golf resorts around the country. If it’s your birthday and you’re staying at an Omni golf resort, that day’s round of golf is free. (Saint Augustine, Florida) – GolfBoard – the first and only substantive, surf-inspired, motorized golf vehicle built specifically for the sport – is now available at World Golf Village Resort’s King & Bear and Slammer & Squire golf courses in Saint Augustine, Florida. Conceived by Bally Total Fitness Founder Don Wildman and legendary big wave surfer Laird Hamilton, GolfBoarding is an entirely new way to traverse the golf course and is forever changing the way golfers experience the game. The four-wheel drive board allows users to turn by simply transferring their body weight in a carving motion akin to snowboarding or surfing. Powered by a rechargeable lithium-ion battery, GolfBoards are ultra-durable and built with a safety-first and user-friendly mantra to provide golfers a more active and engaging alternative to riding in a cart. Early adopters of GolfBoard have seen an increase in rounds played, revenue growth and an improvement in pace of play. Advanced technology allows GolfBoarders to customize board settings and configurations to their riding preference including adjusting speed settings from 6 to 10 mph via a simple, one-touch switch. Available since April 2014, GolfBoard is now offered at more than 120 courses in the US, Canada, and Mexico. More than 300 additional private, daily-fee and resort courses are scheduled for product delivery over the next 90 days, and hundreds of individual golfers – including PGA Tour stars and A-List celebrities – have purchased GolfBoards for personal use at their favorite courses. As the official golf courses of the World Golf Hall of Fame, King & Bear and Slammer & Squire at World Golf Village Resort are championship courses designed to offer both enjoyment and challenge in a spectacular and unique resort setting. first-and-only 18-hole design collaboration between these two World Golf Hall of Fame members. The 7,279-yard course is a “driver’s” course, which should come as no surprise as both Palmer and Nicklaus wielded awesome power games in their primes. The front nine is an open, links style layout that gives a nod to the heritage of the historic city of St. Augustine, Florida. The back nine is more traditional Florida golf fringed with loblolly pines, 200-year-old oak trees, indigenous coquina rock and numerous water features. The Slammer & Squire was designed by course architect Bobby Weed with World Golf Hall of Fame Members and design consultants, Sam “The Slammer” Snead, and Gene “The Squire” Sarazen. All three men shared a desire to build a course that rewards good shot making while preserving the area’s natural beauty. What developed is a well-groomed course that showcases the pristine unspoiled wooded areas, wetlands and natural beauty of the region with an emphasis on the short game. The 6,939 yard course has generous landing areas with beautifully contoured greens. Players will revel in the three finishing holes which offer breath-taking views of the World Golf Hall of Fame. Both courses have hosted numerous nationally-televised events including several Champions Tour events. For more information: www.golfwgv.com, 904.940.6088. A product of Sol Boards, Inc. of Bend, Oregon, GolfBoard is a new, easy-to-ride electric powered 4wd board that adds fun and excitement for golfers of all ages and athletic ability. There are two versions of the GolfBoard: a commercial-grade CourseBoard ideal for rental fleet use, and a personal use SportBoard available to be customized with a wide selection of custom fender colors, graphics, wheels, and decks, plus a high-performance package providing top speed of 14 mph. Affordable personal and fleet leasing options are available via GB Leasing. For more information: www.GolfBoard.com, 888.328.2841. Birmingham, Ala. – Oct. 27, 2015 – As Old Man Winter approaches, golfers can now rejoice. Alabama’s Robert Trent Jones Golf Trail is launching a new RTJ Winter Membership thus Sunday featuring unlimited golf November through February at nine RTJ locations. Golfers may purchase Winter Memberships in monthly increments for up to four months. Winter Memberships are $150 per month per person or $225 per couple per month. Tee times are scheduled within seven days of play. Carts are not required but are available for an additional fee. The RTJ Winter Membership offer runs between Nov. 1, 2015 and Feb. 29, 2016. Memberships can be purchased in one month increments and are available at the individual RTJ locations. RTJ Ross Bridge and the Lakewood Club are not part of this Winter Membership promotion, but will be available for play at discounted rates for all Winter members. Please make tee time reservations directly with the individual sites within seven days of play. For more information on the Alabama’s Robert Trent Jones Golf Trail visit www.rtjgolf.com. After receiving world acclaim for the professional and successful hosting of the second, annual World Club ProAm championships, the organisers – the PGA of SA, Flagship Events and World Golf Events SA – are teeing-up for the third consecutive event, which will swing into action from 27 February to 5 March 2016 in KwaZulu-Natal, South Africa. PGA of SA Chief Executive, Ivano Ficalbi, said, “We are pleased to announce that the entries are open and teams who have been waiting have been quick to secure their spots for 2016. This tournament, the only Club ProAm of its kind in the world, has come a long way since we announced the inaugural event at the 2012 PGAs of Europe Annual Congress in Portugal, and we are proud to say that it just keeps getting better and better”. Moving into the third year, the tournament is set to achieve even greater hype and interest on the European golf platform with the announcement by the PGAs of Europe that they will be sanctioning the World Club ProAm as a premier tournament on their 2016 calendar. With this recognition, world-class courses, fantastic playing conditions of 90 holes across four championship courses and payouts up to 60th place, more PGA Professionals are looking to etch their name on the individual trophy and fill the shelf at their club with the team silverware. To achieve this, they will have to battle it out in an Individual Stableford format competition to claim the US$33,000 cash first prize. The teams will compete in a Pro-Am four round tournament consisting of three rounds of combined Betterball Stableford and a single round of Fourball Alliance Stableford for the prestigious Team Pro-Am trophy. A total prize purse of US$210 000 will be paid out that includes cash for the Professionals and US$50 000 in cutting-edge golf apparel for the daily amateur prizewinners, plus two luxury hole-in-one cars for the Professional and amateur as separate prizes. Four of the country’s finest courses – Durban Country Club, Zimbali Country Club, Prince’s Grant Golf Estate and Cotswold Downs Golf Estate – will come together to provide a supreme test of tournament golf from tee-off to the final putt. ‘Unique’, ‘fun’ and ‘challenging’ are the words that best describe what can be anticipated. All four courses boast world-class playing surfaces, topography that provides for spectacular sea views of the Indian Ocean and an awe-inspiring combination of golf and nature. “With a number of respected golfing publication awards under their belts and the prestige of being designed by world famous course designers, we are confident that our selection will deliver on an unforgettable golf experience,” concludes Ivano Ficalbi. All registered PGA Professionals are invited by the PGA of South Africa to enter online at www.worldclubproam.com and identify three amateur golfers, with official handicaps, to make up the entry as prescribed for their region. The entry includes a full golfing package of five days of competitive golf across 90-holes of championship courses, plus seven nights 5-star accommodation sharing at the Durban Hilton Hotel and 5-star gala events.